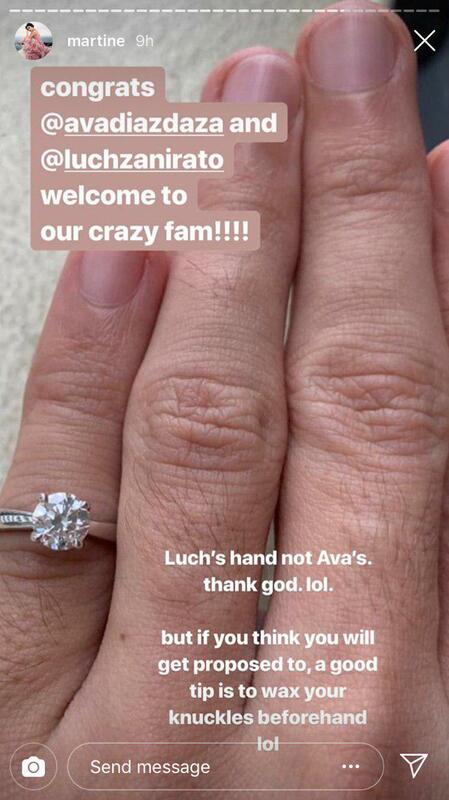 Ava also shared the announcement on Instagram and revealed that the ring Luch got for her was too small for her finger: "p.s. the ring didn't fit lol how do guys get girls' ring sizes without giving the surprise away?" 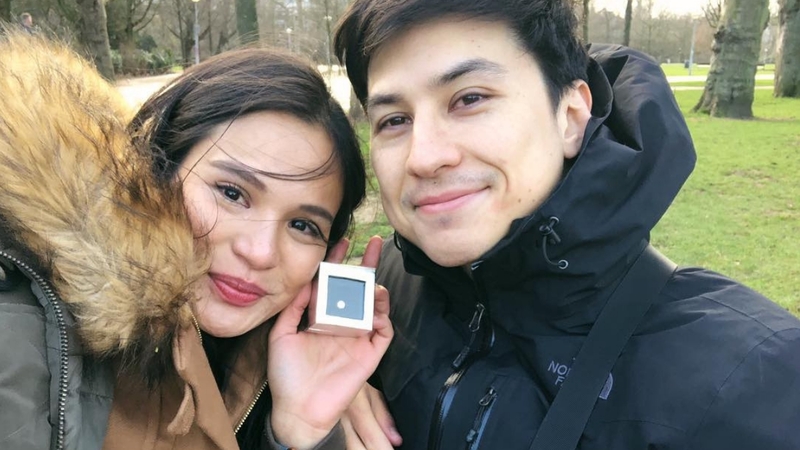 "Got the size completely wrong, but she still said yes," wrote Luch on his own Instagram announcement. We also couldn't help but notice the funny comments made by Ava's family and friends. 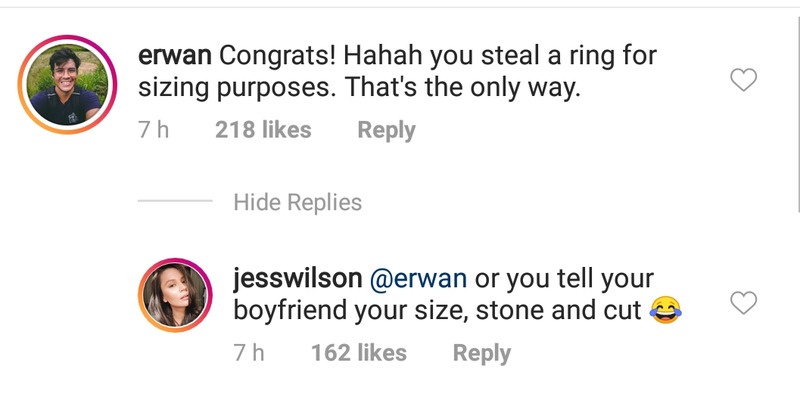 Here are Erwan Heussaff and Ava's cousin Jess Wilson answering Ava's ring size question. 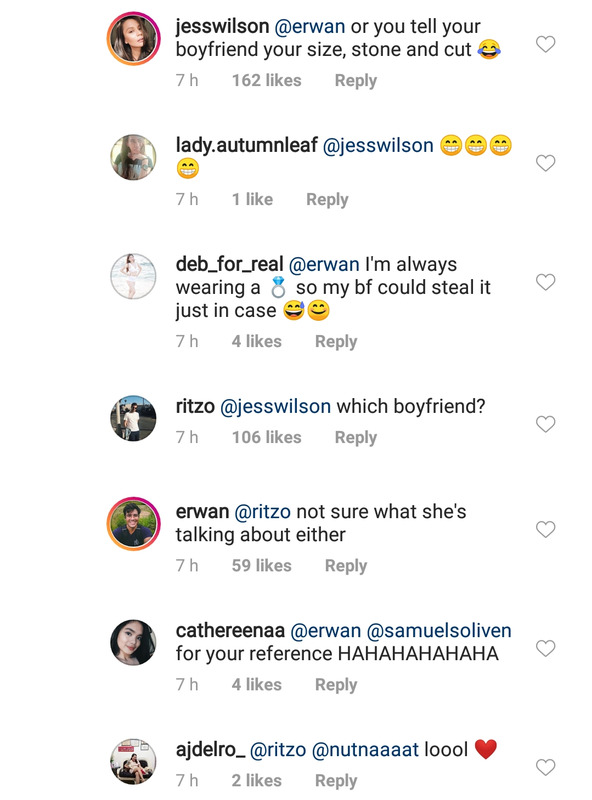 Jess' boyfriend Moritz Gastl also chimed in the conversation! 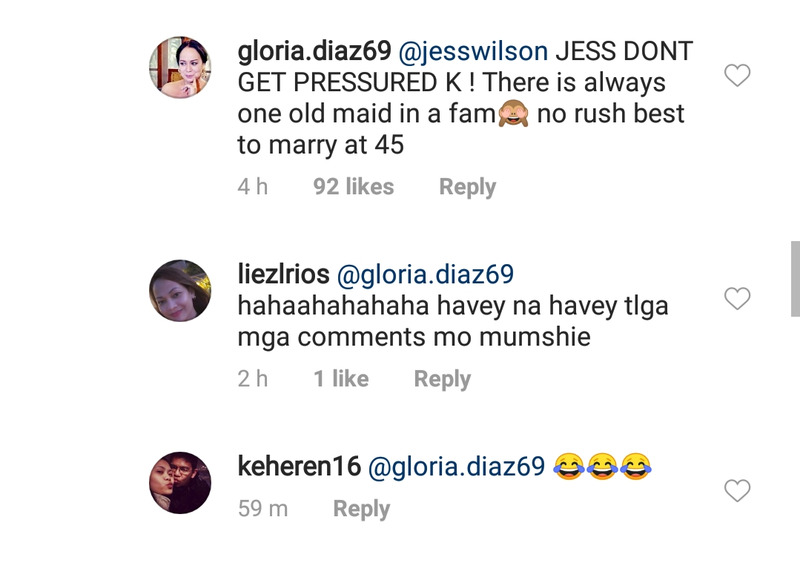 But Ava's mom, Miss Universe 1969 Gloria Diaz, gave the winning response to this thread! OMG! Martine Cajucom, who used to be housemates with cousins Jess and Ava, also came in with super LOL comments! We can only imagine how fun their wedding would be! 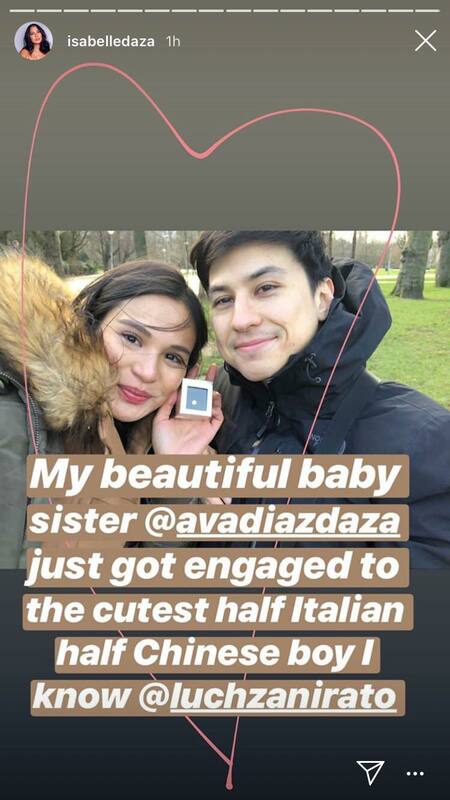 Congratulations, Ava and Luch!